At one New Jersey warehouse, Heinz ketchup is no longer slooooow good coming out of the bottle. 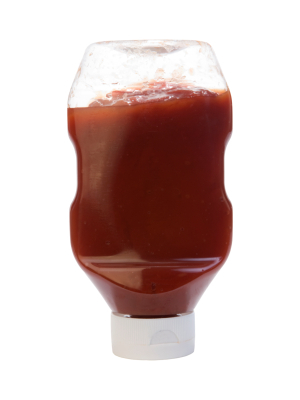 Rather, it’s exploding.According to LiveScience, an “alleged counterfeit condiment operation” in a Dover, New Jersey warehouse, literally “blew its cover” when ketchup bottles exploded, leaving behind what must have looked like the insides of a Halloween horror house. NJ.com reports: “Someone purchased traditional Heinz Ketchup and transferred it from large bladders into individual bottles labeled ‘Simply Heinz. '” The plan was to sell the bottles at a profit. Instead, the tomatoes plus vinegar are acidic, and then the sugars ferment. Add heat, and pressure builds until… Ketchup Kaboom! Heinz apparently has packaging procedures that keep their ketchup bottles from exploding at your table, in diners and at schools. Investigators believe that none of these bottles left the warehouse, but I’ll be removing my bottle from the table next time I’m at Chili’s, just in case.